Posted on 10/28/2015 at 3:31 pm. “I just finished your book,” shared a friend who had graciously offered to help me by reading a pre-release version of it. “I have tears in my eyes,” she said. “That last line in the text…perfect” She is an incredibly intelligent financial services veteran who stays home full-time with three children. She recently reestablished her family in our town after a major geographic move initiated by her husband’s job. Net net she’s no stranger to transition. What she didn’t know as I opened her email…..
Was the fact that I am totally unglued this week – one week prior to the release of the book. I keep wondering if this is any different from when my transition began? Transition started for me when the things that had long-held value or meaning for me started to shift. Think tectonic plate not a squirmy kid at the dinner table. For decades I’d dedicated myself to building a working persona. When I say dedicated it was full on. Six days a week. 24×7. The shift happened when my two children who were born sixteen months apart from each other were entering elementary school. I began re-examining my assumptions. I questioned the whole lot. ‘To what end?’ I kept asking myself as I got on and off airplanes. Don’t get me wrong – I love to work. But there had to be something MORE to it. I was happy to dedicate myself but to what? All this uncertainty had a powerful effect on me. I was ashamed because I couldn’t answer that important question. I was also certain that I’d failed. After all I was saying, ‘that’s it?’ as a Harvard MBA who sat a few seats away from the corner office in a multi-billion dollar company. On another level I felt as if I was also failing at my most important role – as a parent. Amidst all of this I felt incredibly isolated. Alone. I was surprised by society’s reaction to my state of ‘unknowing.’ To former colleagues I was either ‘persona non-grata’ or a curious ‘science experiment’ that they could watch from a safe distance through their webcam. Family members held their breadth not really knowing what if anything to say. To others in the broader community I was instantly marginalized – what after all was I doing? The most challenging of the reactions I got came closest to home – from my husband. He is an electrical engineer and a person who builds precision into nearly everything he can. From the way he arranges his daily schedule to the mental model he uses to filter his view of the world. You can just imagine his reaction to my ‘shift” and my decision to explore unknowing…. Thankfully – blessedly – I clung to a belief that something more was possible for me. 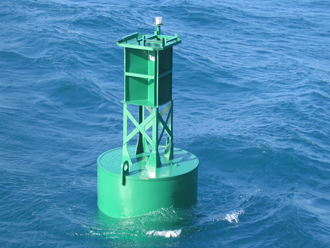 It was a little buoy emitting a distant weak signal. What’s different between those moments almost five years ago and this week? In a word? Transition. Back then I couldn’t even conjure the word let alone understand its meaning. Now I understand its definition, its stages and a process designed to navigate it. I recognize its emotions – as simply that – emotions. Objective, manageable, short-lived. The biggest difference is that this body of knowledge gives me sight lines into uncertainty. With it I know what to expect even though I don’t know the answer. It neutralizes the fear. It is comforting. I have confidence even as I walk forward into the unknown. Transition has given me so much beyond this deep knowledge. It’s given me connections to hundreds of women who understand this shift. Their collective voices helped me refine my own voice. For that I’m ever grateful. It’s also given me a vocabulary and toolkit to share. It allows me to speak and be heard even when I am in an uncertain place. Most importantly it gives me the potential to influence women and women’s progress more broadly – a topic that has held special meaning to me since college. I am so humbled by this moment. Transition has given me peace and gratitude and resilience and energy and a belief in unbounded possibility. What my friend couldn’t know at that moment when I read her email was that I too had tears in my eyes. Perfect.